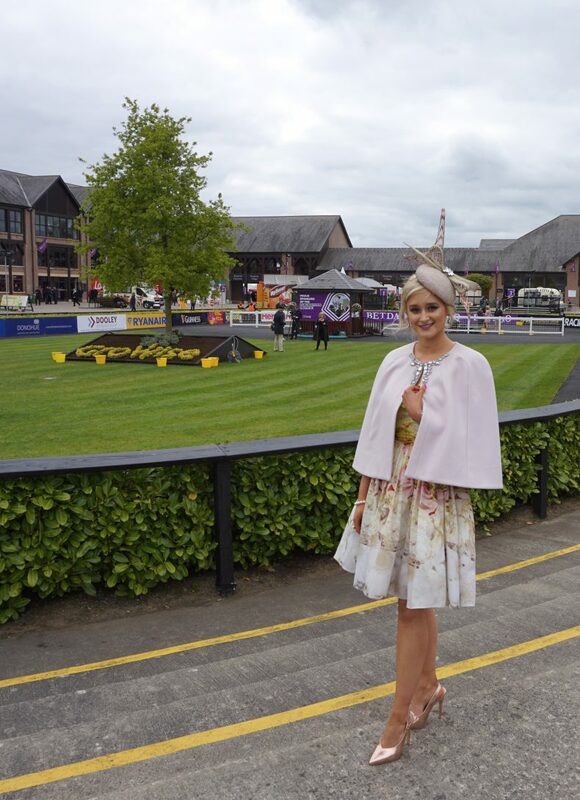 Punchestown, for me, marks the start of summer fun! 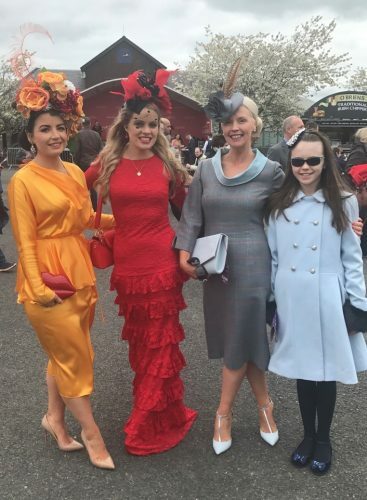 Every year we get a crowd together on at least one day during the festival, this year it was just the girls but we had such an incredible day! 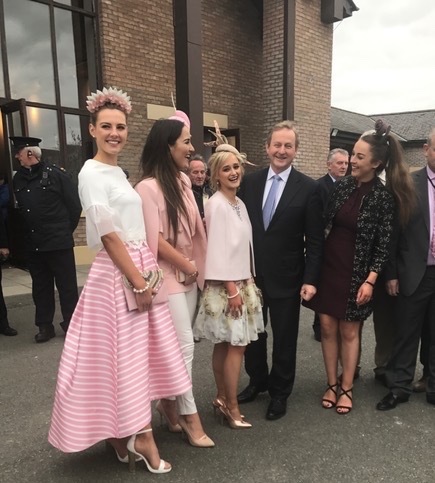 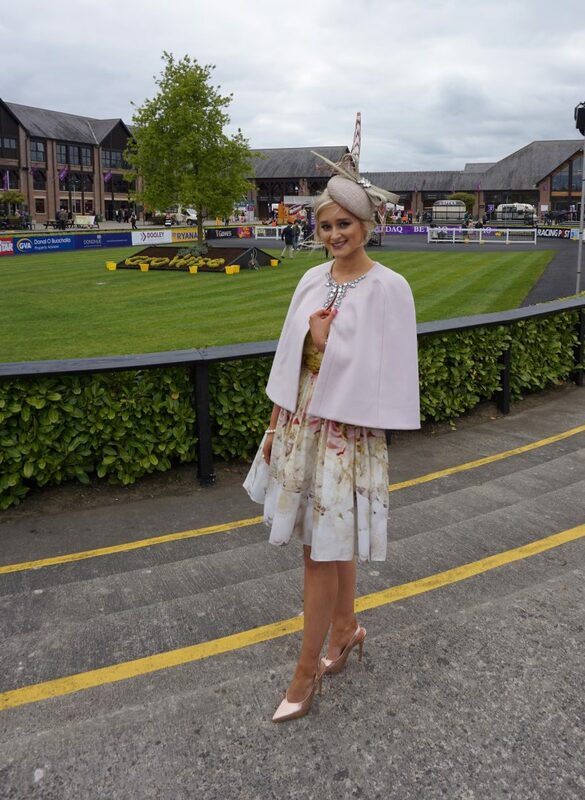 I bought this dress a few years ago in Ted Baker at Kildare Village, it’s one of those dresses that I go back to time and time again – weddings, the races – anthing! 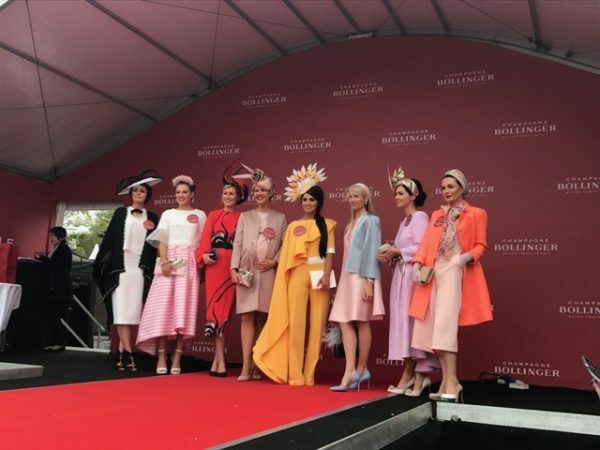 The great thing about Ted Baker is that their clothes are very interchangable, you can buy pieces from one collection to the next and they fit together perfectly; it’s ideal for building investment outfits. 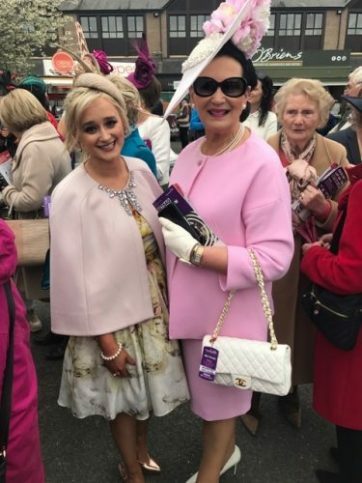 So, when I saw this cape last month, again in Ted Baker at Kildare Village, I knew it was a great investment – I’ll get so much wear out of it. 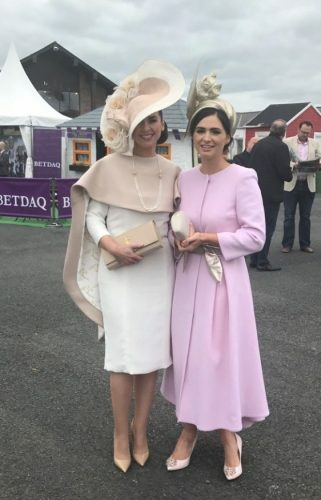 I can’t find this cape or anything similar online but they were still available in Kildare Village when I was there last week. 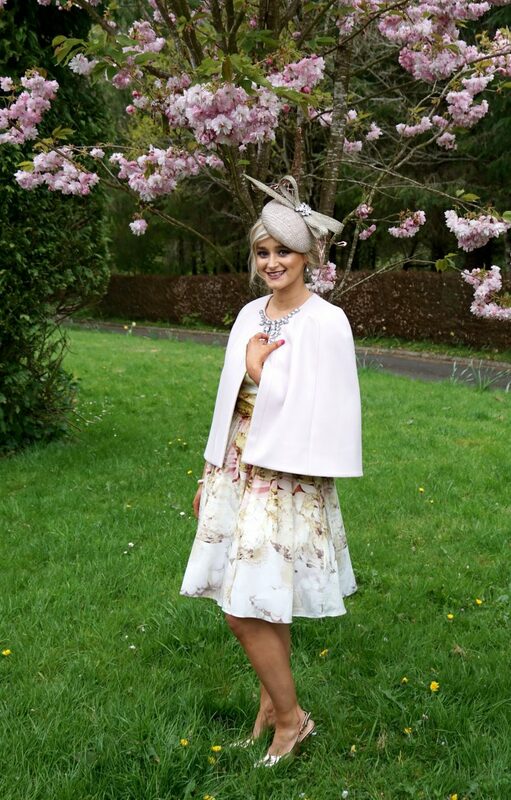 I absolutely adored my hat, I collaborated with Majella of Crevation Designs, who made it for me specially! 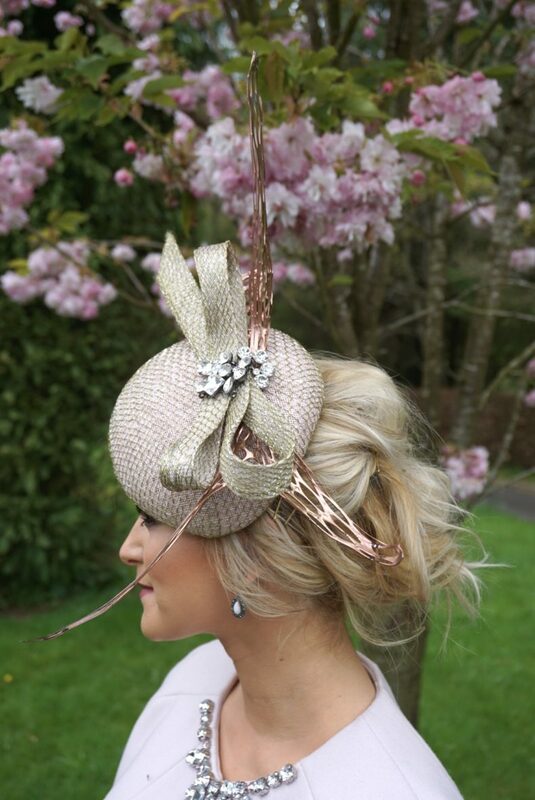 You can contact her through Facebook or check out some of her other creations on Instagram. 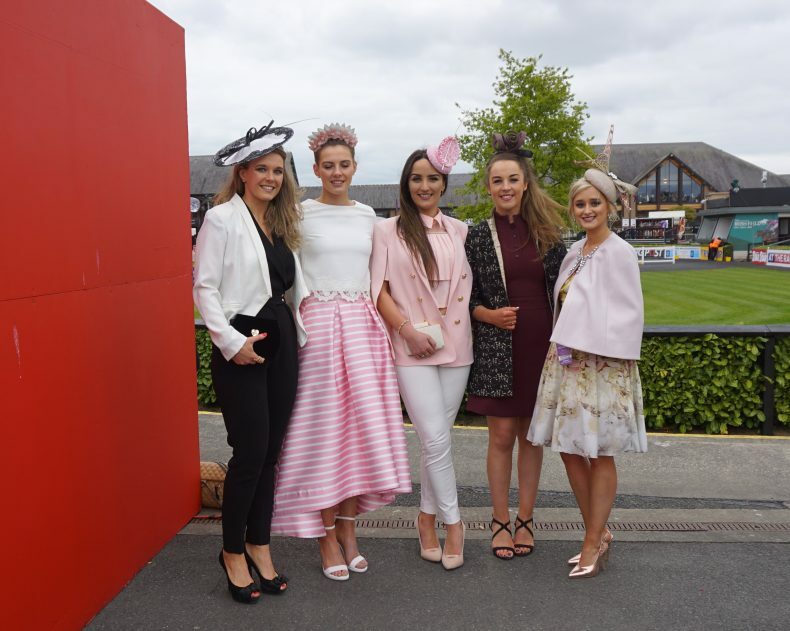 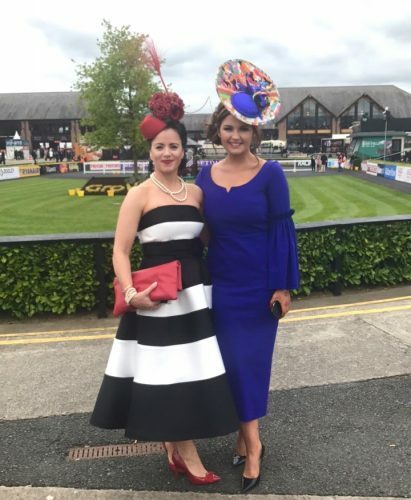 Majella, based in Galway, is incredibly talented and has had a number of her hats win at Ladies Days across the country. 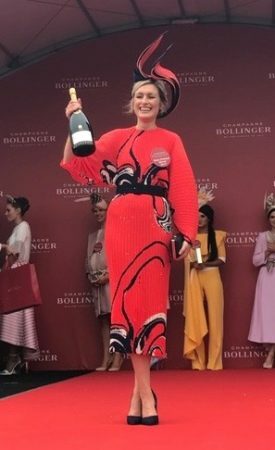 These shoes, especially considering the price, are ridiculously comfortable – I wore them for more than 13 hours without a problem! 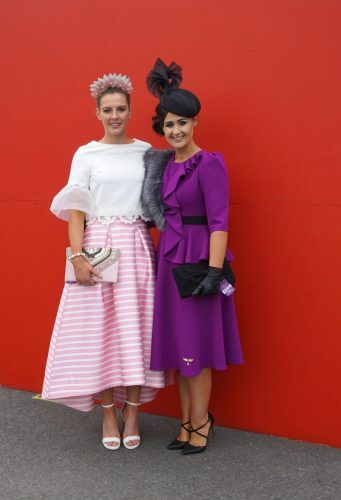 I actually thought the style stakes were better than ever this year and, honestly, I don’t know how the judges do it!